Simultaneously the greatest and most painful month for creative writers. November is approaching, and with it, National Novel Writing Month, also known as NaNoWriMo (that’s na-noh-ry-moh; I pronounced it “ree-mo” for the longest time). 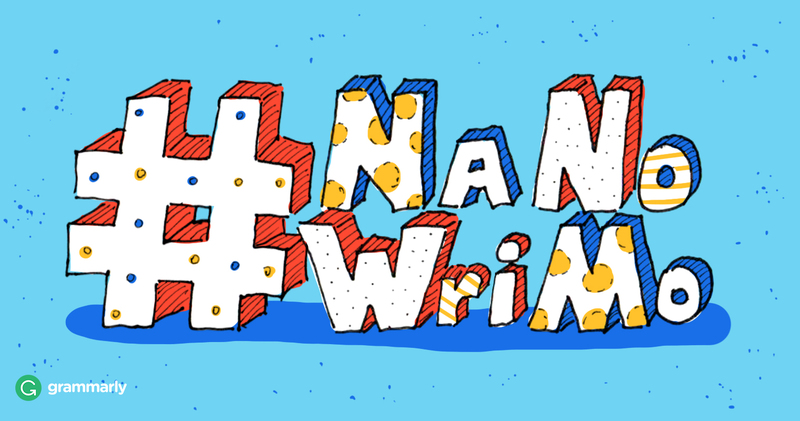 Founded in the 1990’s, NaNoWriMo is a competition to write a novel in a month—the typical goal is 50,000+ words. Participants can sign up at nanowrimo.org and become a member of their regional group—Athens has one here. Through this website, you can connect with other participants from around the world and chat about your stories, look for some advice, or just talk to people who share interests with you. You can create a profile on the website to connect with others and share updates about your novel, and at the end of the month, you take the entirety of your work, copy it onto the website, and submit it through their word-counter to claim yourself a winner of NaNoWriMo. Conquering the word count challenge will qualify you for many different prizes, including a free published copy of your book, discounts on advanced writing software, free e-books, and more! The cool thing about NaNoWriMo is that, while it is a competition, it’s not exactly one against others. You compete against your laziness, procrastination, and general-lack-of-will-to-write (trust me, I know the feeling) to make yourself sit down and write everyday—that’s proven to be the most effective way to improve your writing. However, some regions compete against one another; for example, Athens and Jacksonville, FL often have competitions to see who can pull out the most words. It’s a great challenge for creative writers, especially those who haven’t been doing much writing lately and need a kick to get started again. NaNoWriMo, despite the name, isn’t limited to just novels, however. The focus lies more heavily on the word count rather than the actual form or nature of the work, because getting any writing done, good or bad, is better than not producing any at all. So if you prefer short stories, go for it. Write ten 5,000-word pieces, or five 10,000-word pieces. It’s all up to you, and that’s the magic of NaNoWriMo. If you’re a poet, to be honest, I’m not entirely sure how you’d be able to pull off the word count, but maybe create the next “Paradise Lost?” I’m sure everyone would be enthralled to give it a read if you actually pulled it off. The best part about NaNoWriMo, though, is the community. Besides meeting people online from all over the world, there are regional groups that often meet up at coffee shops, libraries, and other public places to chat, motivate one another, and get some writing done. I recently met with the Athens NaNoWriMo group and they’re fabulous. There’s such a great, supportive environment; it’s not often you’re surrounded by other authors in such am intimate setting. They hold fun events, write-ins, and other activities throughout the month; you’re greatly encouraged to reach out to your local chapter for encouragement and additional info on NaNoWriMo! You can reach them through the official NaNoWriMo site, but many of them also have pages on Facebook! So get brainstorming, and have a happy NaNoWriMo!